Gina Fraser wants to invest in the future by helping young people, who would not otherwise have the opportunity, to pursue a career in the trades. She turned to Hamilton Community Foundation to help her carry out that vision. Though they had no children of their own, Gina and her late husband Ron had what she calls a “soft spot” for kids, and shared a passion for helping disadvantaged youth to pursue education. They established bursaries to support local students, and fellowships in health sciences. Gina has maintained an interest in many of the young people and their careers over the years. But her interest in skilled trades has a special significance, because of Ron’s long career as a president and CEO in the home construction industry. “University isn’t for everyone,” says Gina. “Tradespeople built our country and it can be a really interesting and rewarding career. Many young people have a natural instinct for the trades, but they may not be aware of those instincts or know that there is a good living to be made until they experience expert guidance and training.” Gina has known about the Foundation for many years, but her interest was piqued by a story in an HCF publication about a grant to the Threshold School of Building, providing youth with training in home construction and renovation. 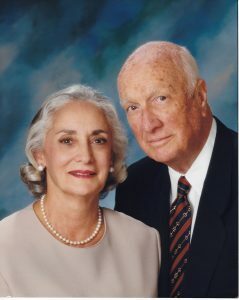 Gina established The Ron and Gina Fraser Fund at Hamilton Community Foundation as a tribute to Ron and to carry out her philanthropic goals. Her intent is to establish a bursary for young people wanting to study the trades. Meeting with HCF’s grants team provided her with knowledge of the importance of engaging kids early so they are exposed to the options before finishing high school. As a result, last summer, the first grant from the fund supported an innovative pilot project at Mohawk College’s Skilled Trades and Apprenticeship Research, Resources and Training Institute. It combined education summer jobs, mentoring and fun. Bringing together partners from the college and the YMCA, it gave 12 youth from a low-income neighbourhood the opportunity to learn about and experience a number of trades.